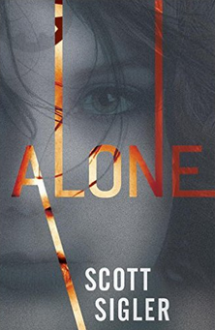 Alone is a thriller novel that is scheduled to be released in March 2017 by American author Scott Sigler. This is a young adult appropriate novel. ‘'Alone'’ is the third book in the Generations Trilogy, preceeded by Alive and Alight. Pawns in a millennia-old struggle, the young people known only as the Birthday Children were genetically engineered to survive on the planet Omeyocan—but they were never meant to live there. They were made to be “overwritten,” their minds wiped and replaced by the consciousnesses of the monsters who created them. The novel is describe is described as "The Hunger Games" meets "Divergent" meets "Red Rising." This page was last modified on 12 October 2017, at 09:44.